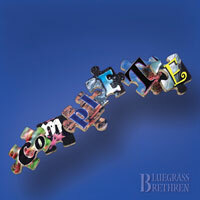 This album is a "dynamite" selection of Bluegrass Brethren's "all original" material. It contains songs that explain all the ways that we are made "complete" in our lives, from salvation to relationships. The group continues to keep nearly every song in its performance repertoire, and so it is a very popular recording. It is also the only album, presently, that has a companion song book for all the tunes on the project.